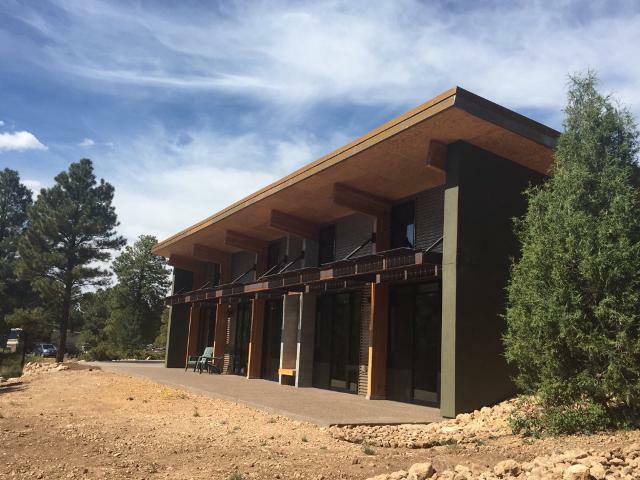 New private residence that was designed and constructed with a primary focus on utilizing highly sustainable building systems, renewable energy sources, and energy efficient technologies. 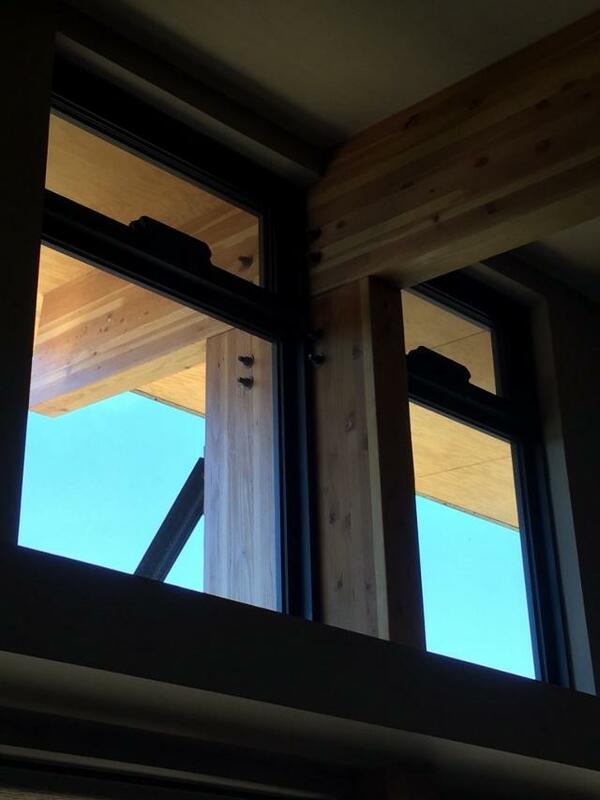 Expansive window walls are oriented to the south to take advantage of available passive solar, ventilation, and views to the forest. 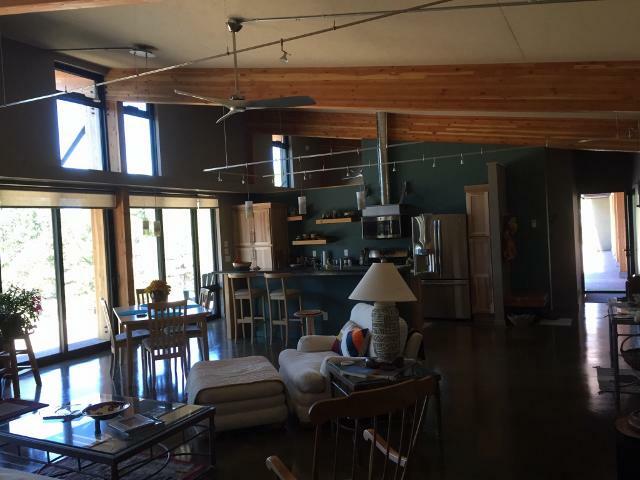 Deep roof overhangs and awnings are provided to keep the direct summer sun off of the windows. 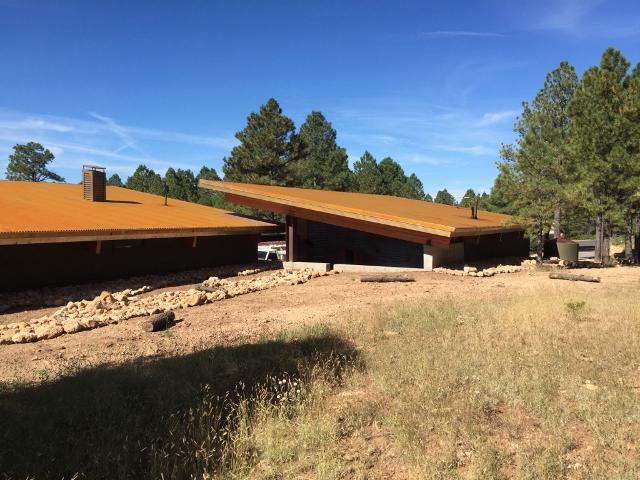 The exterior walls are constructed of Insulated Concrete Forms (ICF) and the roof is Structurally Insulated Panels (SIP), creating a super insulated and air impermeable envelope. 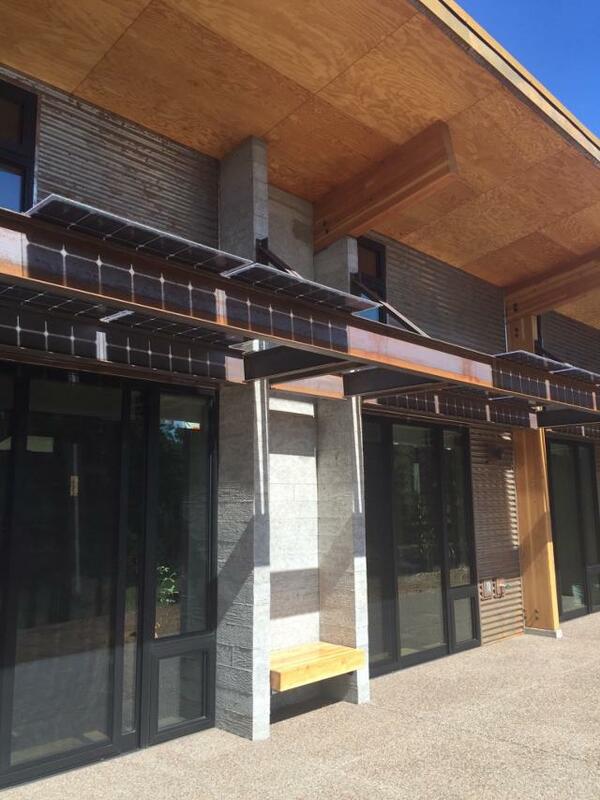 The south facing awnings have been fitted with dual-sided, high efficiency PV panels. 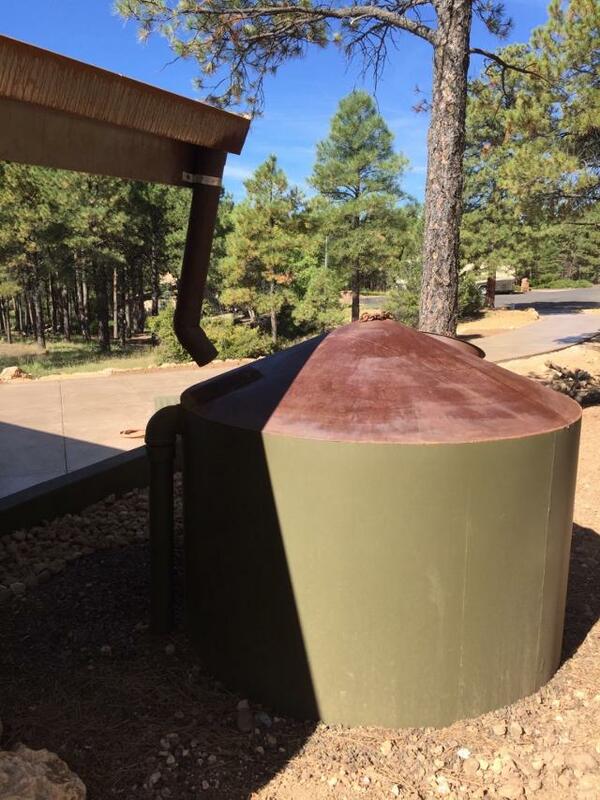 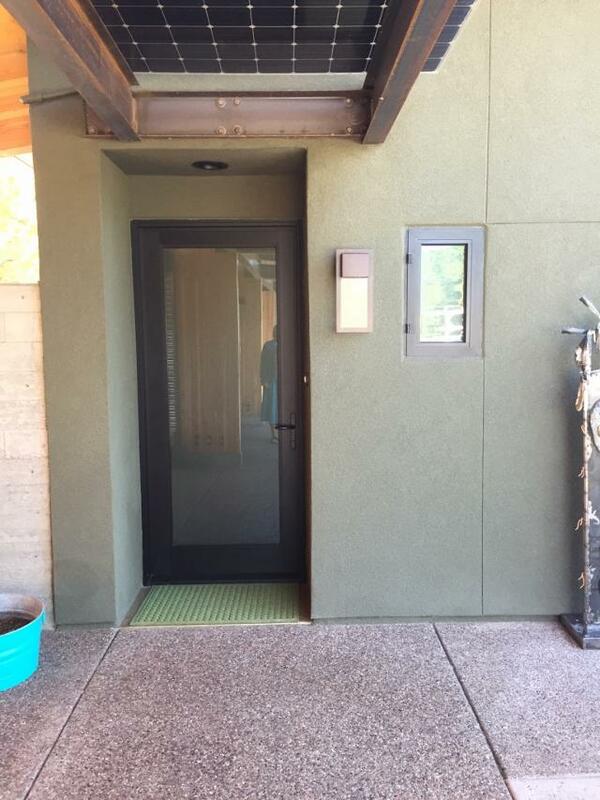 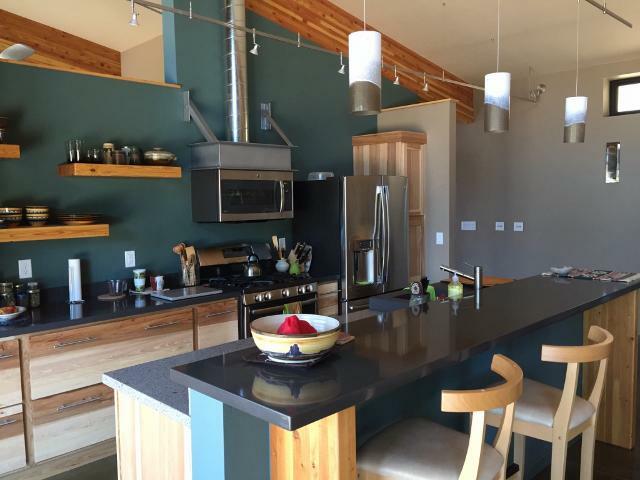 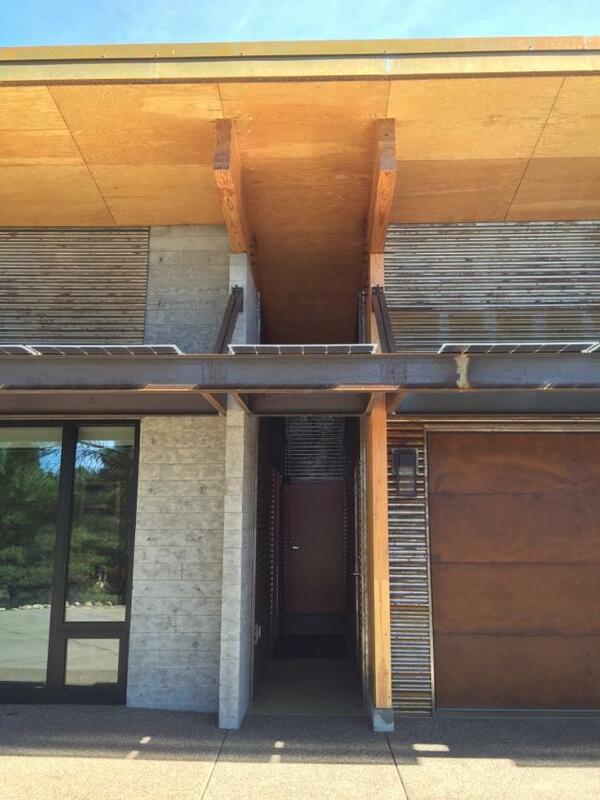 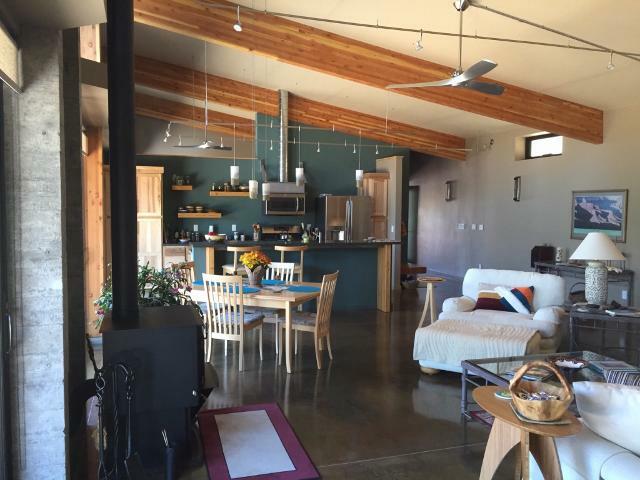 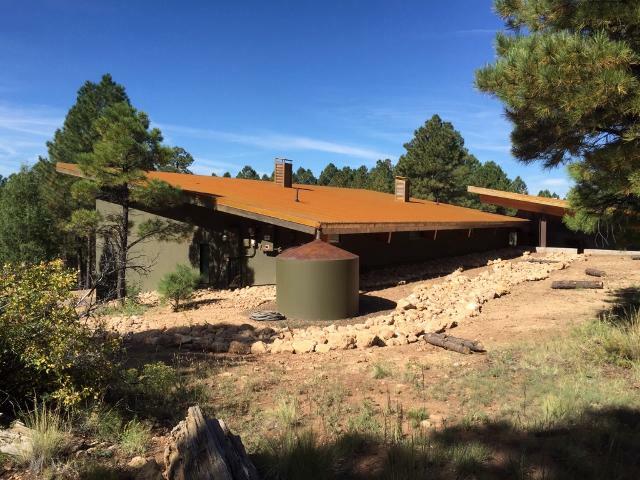 This home was just featured on the Coconino County Sustainable Building Tour and has recieved the highest level award from the Coconino County Sustainable Building Program. 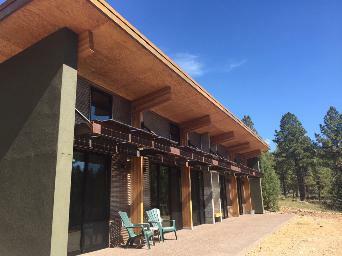 In addition, the house has received Net Zero Energy Certification. 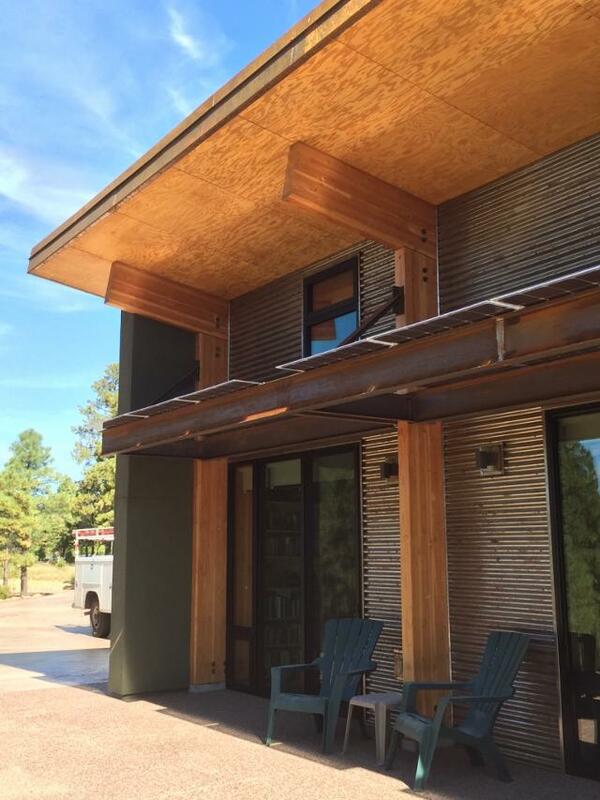 The design team includes Hubbard Merrell Engineering (Structural), E3 Energy, Beautique Home (Corinne Nugen Interior Design), and Hope Construction (Contractor).